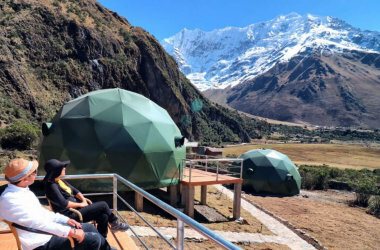 A fabulous trek in the heart of the Peruvian Andes. Walking through natural landscapes in the heights of the Andes is an adventure. Enjoy nature in the middle of the Andes. You will spend the first night in a dome with all the comforts. At the end of the trek, discover and visit the fabulous Citadel of Machu Picchu. Share great moments with us. Machu Picchu is waiting for you.